Though it may seem like it, driving is anything but a right that people must have. It is a privilege instead. It is very easy to take this for granted, especially as a first time driver. Your parents and the state give you the ability to earn your license. This definitely will give you the independence you want, but it also comes with a big stack of responsibilities you need to meet in order to maintain your license. The decisions you make will come with consequences, too. Even though you have been in your parent's car for years and perhaps even paying attention to their driving, this does not give you the skills you need or the experience on the road that is vitally important. You will need to study and get driver education. Studies indicate that the more time parents spend with driver training, at least for a full year, the more likely the student will be a safe driver. New drivers will need to follow a parent's training and guidelines in order to ensure you are ready for your license and that your driving education does not stop once you get it. You will need to earn it and that means getting the education necessary through experience. Realize, too, that this is a privilege you can lose as well. Even with drivers ed, you will still need to practice safe driving methods. Motor vehicle accidents are one of the most common reasons teens die. By having the foundation of skills, teen drivers can perform well on the road and avoid these risks. In some states, inspections on an annual basis are necessary. You may need to pay fees for parking passes, too. It is also necessary to know what the state's laws are guarding your ability to drive other teens or children around. 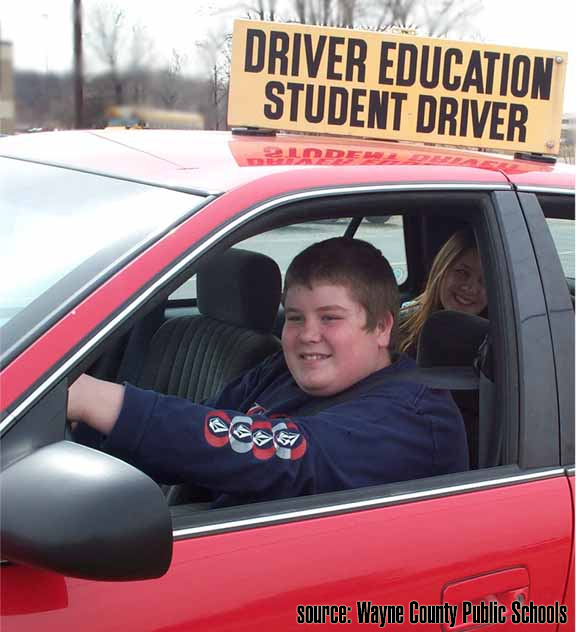 Some laws restrict teen drivers from having anyone else in the car under 18. You also have to realize that you are not directly responsible for mistakes you made, not your parents. That is, if you violate driving laws, you will pay the price through the removal of your driving privileges, points on your license, and financial implications. If your actions lead to damage to someone else's property, you will be responsible for it. Likewise, if you cause an accident that takes someone's life, you will pay for that, too. What you need to do, then, is to get the proper driving education, form good driving habits, and to be a very safety minded person all of the time. It's important to have numerous adults help you to drive, including those that are responsible. This will give you the ability to know you are driving well from multiple viewpoints. It's great to think that once you get your driver's license you will be able to buy that nice sports car you want. You may want one with a fantastic sound system and a big engine. Yet, that's not the focus here. What you really need, though, is a safe car, not a toy. Tuck away the ads you see about what types of vehicles are best to drive. Instead, focus on what is going to protect you and give you the ability to remain safe. Making a buying decision about a car is a big responsibility. Instead of buying the wrong vehicle, consider what the best choice is for you. This means looking at sedans that have new features to reduce compact crashing or those that have three-point seatbelts in them. Vehicles with airbags are invaluable, especially those with airbags along the front and sides. Research a variety of cars and their features to determine which is ultimately the best investment for you. Maintaining the car you do get is essential. These are not necessarily easy to use. They are complex systems that require ongoing care. You can improve the life of your car by making the right maintenance decisions for it. You'll need to perform regular checks of the vehicle to ensure it is in good working order long before you take it out on the road. Learn how to use jumper cables. It is not all about maintaining your car to be safe on the road. You also have to manage your frustrations and stress. You'll be rushed from time to time. You'll be tired. How you handle this is critically important. Another complex area of teen driving is peer pressure. It is a real factor in everyday life. As a driver, you'll need to manage it carefully. Realize it takes getting drunk or doing drugs just one time and getting behind the wheel to end your life. If you are tired, you are putting your life and those of other drivers on the line even if you think you can handle it. As you work to get your leaner's permit with teen driver education, you will learn a great deal about the risks you face on the road. Simple things, like changing the radio or eating can be fatal decisions. Road rage is another big factor, since having a quick temper can often lead to disastrous outcomes. To avoid this, practice being a courteous driver. Avoid situations that can stress you out. Don't skip the small things either. Getting your drivers permit will require following the rules, like wearing a seat belt. Don't forget those later on either. They pick up habits from parents.If parents are doing the wrong thing, their kids will, too. Teens easily pick up bad habits as they are learning to drive. They speed. Teens love speed and that is evident in the way they tend to get to and from places quickly. Speeding is an easy mistake to make, but a deadly one, too. They drive too close. Teens tend to follow other cars far too closely, also a risk factor for accidents. They don't click it. Many see seat belts as something you have to use in drivers ed, not every single time they get into the car. The problem is, seat belts save lives. They drive with other teens. Risks go up substantially for teens who drive with other passengers under the age of 18 in the car. This leads to more fatalities and bigger risks often due to peer pressure situations. They are easily distracted. There is simply too many things for a teen to do to put his or her full attention on driving. That's a big deal. They have conversations, try to read text messages, or play the radio so loud they do not hear oncoming traffic. They are too aggressive. It is very easy to lose your temper while behind the wheel. Aggressive driving comes from inexperience and often brings on accidents. They don't look first. They are distracted or uninterested in checking twice or even checking just once. They do not judge distance well. While getting online drivers ed or other teen driver education, they will learn this, but they need experience to perfect it. Keep other drivers, objects, and people a distance from your vehicle.